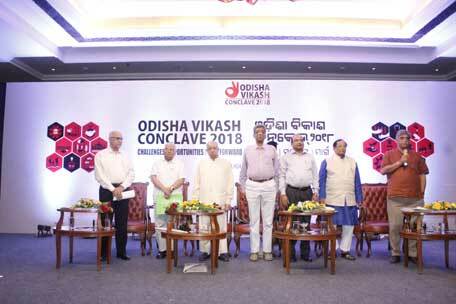 Bhubaneswar: The three-day Odisha Vikash Conclave-2018 (OVC) concluded on Sunday. Based on the outcome of the deliberations a clear action agenda on critical development issues of the state was presented. 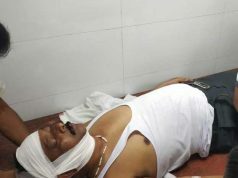 The policy asks shall be taken up with both the state and central government to deal with critical development challenges of the state in Tribal Empowerment and Development; Women & Violence; Forest and Non Forest Commons; Food and Nutrition Security; Rain fed Agriculture; Employment and Migration; Green Skill and Entrepreneurship Development; School Education and Quality Learning; Health and Wellness; Drinking Water, Sanitation and Hygiene; River Ecology; Inclusive Governance, Fiscal Management & Social Accountability; Democratizing Urban Governance; Panchayati Raj; Disaster and Climate Change Action; Corporate Sector in Localising SDGs; University Community Linkage; Social Exclusion & Inequality and Child Rights. Gracing the valedictory session, State Food Supplies and Consumer Welfare and Cooperation Minister Surya Narayan Patro lauded the effort as a landmark of civil society initiative in the state and committed to take forward the various proposals at the state government level. He articulated the potential of inclusion of OVC recommendation in election manifestos of all the political parties. Dr. Subrato Bagchi, Chairman, Odisha Skill Development Authority and a thought leader emphasized on the key elements required by the change agents of the state for a transformative development of Odisha. He called upon the change agents, development planners for necessary shifts in thought and ideas which can expedite the development process of the state. He also emphasized the need for improved governance and accountability at the grassroot level for civil society organizations as well as the government. The NCERT Director Prof. H.K Senapati laid emphasis on intensification of training of teachers for quality school education. Odisha Open University Vice Chancellor Prof Srikant Mohapatra concluded that the conclave has created an opportunity for for linking the academic bodies of higher learning with the aspirations of the community. The event was organized collectively by more than 65 organisations known for their work locally, nationally and globally including UN. 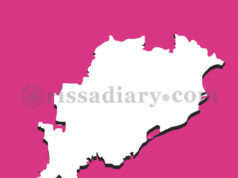 The proposals of all the thematic tracks shall be complied and submitted before the State and Central Governments for their consideration in order to expedite the development process, said Jagadananda, Convener of Odisha Vikash Conclave. All the divergent groups from policy makers to service providers sat under one roof and debated on the issues for a larger interest of the state. Presence of key donors and agencies enriched the profile and dialogues and deliberated on breakthrough research and evidences in India and worldwide. Most of the major donors like BMGF, APPI, UNICEF, WFP, PCI and key development leaders on nutrition in India and worldwide took note and interest in the conclave on localizing Sustainable Development Goals agenda in Odisha in this multi stakeholder engagement process including the corporate bodies through CSR initiatives. Around 2,670 representatives from different parts of the state and outside participated in the conclave. 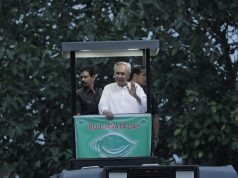 The three day event was attended by Vice Chairman of NITI Ayog, Parliamentarians Soumya Ranjan Pattnaik and Pinaki Mishra, Chairman of the State Food Commission, Development Commissioner of Odisha, Mission Director, Poshan Abhiyaan (National Nutrition Mission), Government of India, the Adviser State Planning Board, officials of University Grants Commission of Government of Odisha and Government of India were present during the conclave.